The Rebels on Saturday night began what they hope will be a wave of momentum heading into next football season in the most memorable and impressive of ways, rallying from a 23-point deficit to defeat UNR 34-29 before an announced gathering of 19,921 at Sam Boyd Stadium. 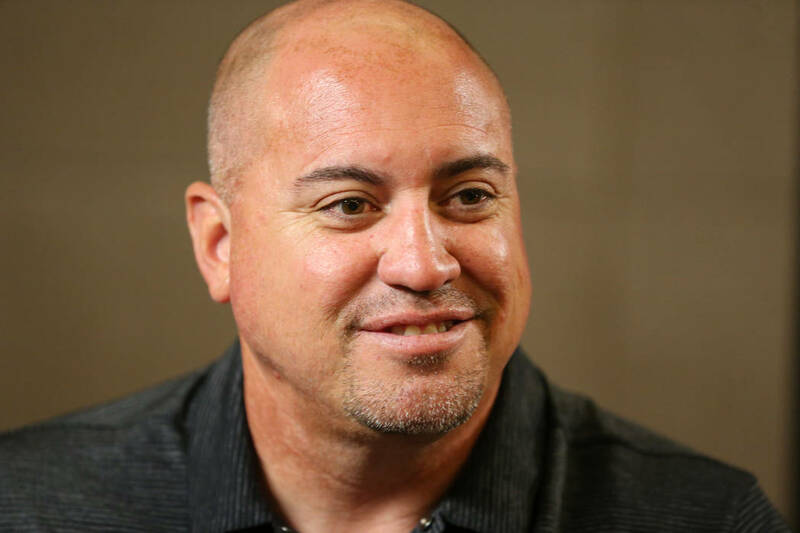 So now we wait for the inevitable, official word that Tony Sanchez will return for a fifth season as football coach at UNLV. That’s the correct (only) conclusion to all conjecture. When the final three weeks of a disappointing season includes winning in a place for the first time since 2000 and then staging the largest comeback in program history — against your in-state rival no less — any questions about job status should be summarily shelved for someone who has made historical advancements off the field in terms of upgrading facilities. He’s coming back, and should be. 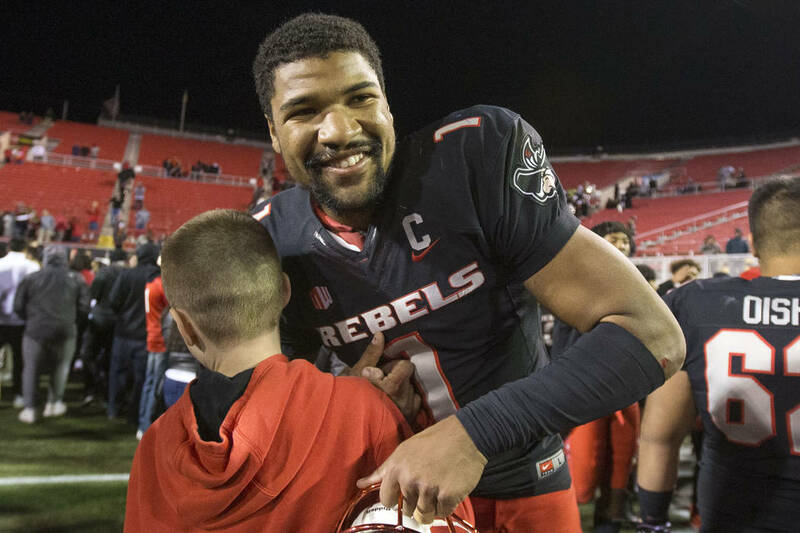 The Rebels on Saturday night began what they hope will be a wave of momentum heading into next season in the most memorable and impressive of ways, rallying from a 23-point deficit to defeat UNR 34-29 before an announced gathering of 19,921 at Sam Boyd Stadium. 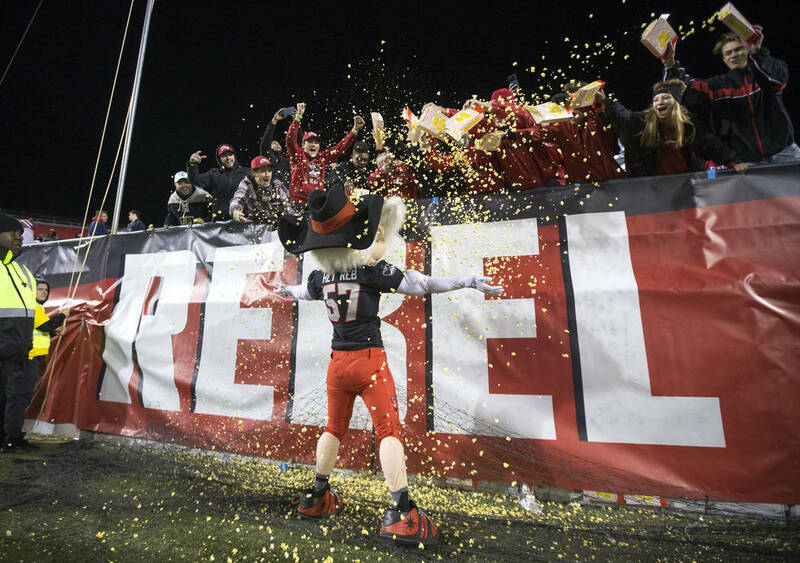 UNLV will for the second time in four years under Sanchez paint the Fremont Cannon red, a result of the Rebels showing absolutely no quit and continuing to play hard for a coach whose job was absolutely on the line when a 2-2 start eventually became 2-7. But then came a win at San Diego State as a 24-point underdog, a seven-point loss at bowl-eligible Hawaii last week and now this, down 23-0 as a 14-point underdog to UNR and coming all the way back to celebrate in victory. Whether or not Desiree Reed-Francois would also include specific expectations for 2019 in any impending announcement depends, I suppose, on what athletics director handbook she favors. But the inference should be obvious: Sanchez needs to produce a winning season and bowl eligible team next year, the final one before UNLV kicks off in a new NFL stadium in 2020. This is it. He must win. There shouldn’t be a word whispered about how a coach under such pressure to produce might affect recruiting. It’s too late in the process for that. Sanchez returns a majority of his two-deep. He needs to win with them and, if he does, then worry about subsequent seasons. No comments about being young. No excuses about being injured. There should also be no greater point of focus for Sanchez and his staff in the coming offseason than quarterback, specifically where Armani Rogers will be as a passer when things begin against Southern Utah on what is a scheduled Aug. 31 opener. It’s ironic that in a final game of a season which saw Rogers miss six games with injury, the redshirt sophomore had arguably his finest college effort through the air. He finished 13-of-20 for 172 yards with three touchdowns and no interceptions, gaudy stats that produced a 186.7 rating. He was terrific, leading a game-winning drive that began with just over six minutes remaining, capped by his 3-yard scoring run and 2:34 on the clock. But to assume one solid evening via the pass has magically repaired the ills that has limited Rogers to this point at UNLV would be foolish. It’s not to say he can’t build off the tape from Saturday, but there are still throws he can’t make and others that have absolutely no chance of being completed. He has everything you want. Big, strong, definitely enough arm and then some. 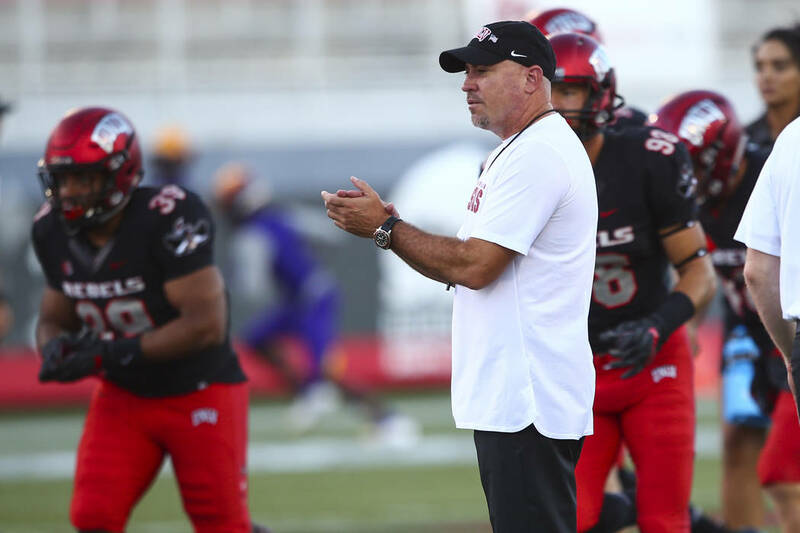 But while NCAA rules will limit what UNLV can do for him in terms of offseason tutoring away from the program, someone needs to facilitate Rogers committing to a summer program under a proven quarterback coach. He doesn’t need to throw for 300 yards a game. He needs to consistently be in the 175-yard range with decent efficiency and merely be a threat to combine with his running skill. It’s simple: If this is who is going to be handed the reigns next season — and there’s no question it is — Rogers has to become a better passer for UNLV to do what Sanchez must in order to continue leading the program. The coach is getting a fifth season, because any other sort of announcement would not only be wrong, but seriously question the motives of those who would think otherwise.